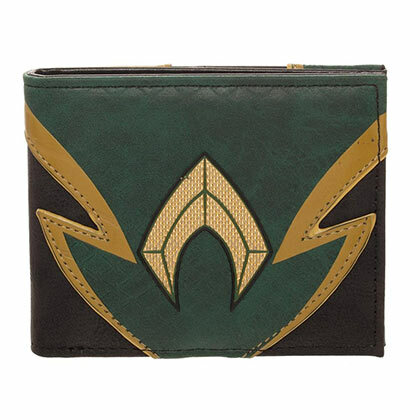 Officially licensed Aquaman men's wallet with chrome weld logo on the front. 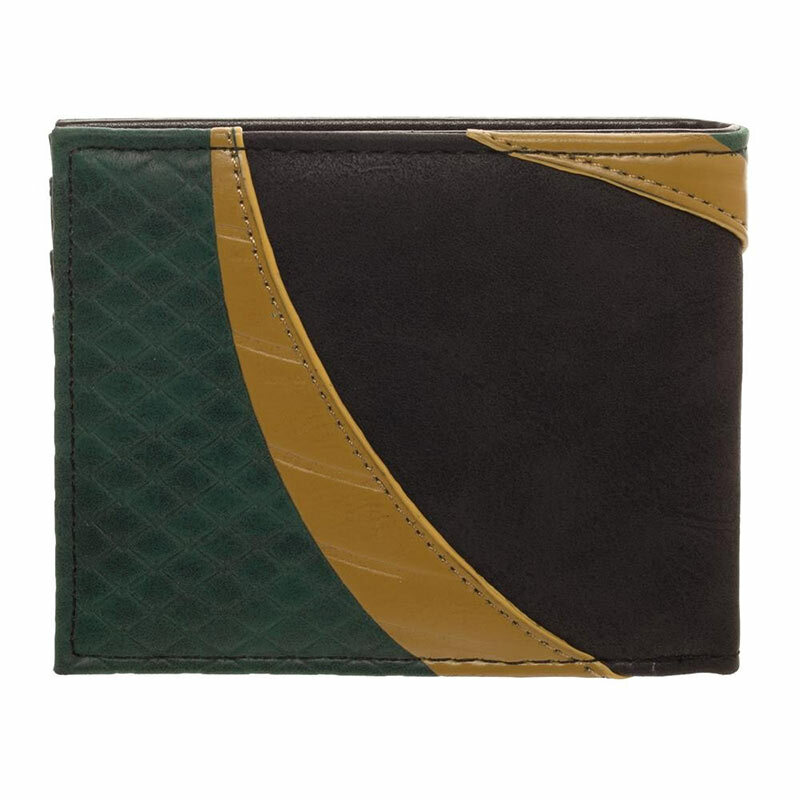 Comes in black and green and is made of PU faux leather fabric. 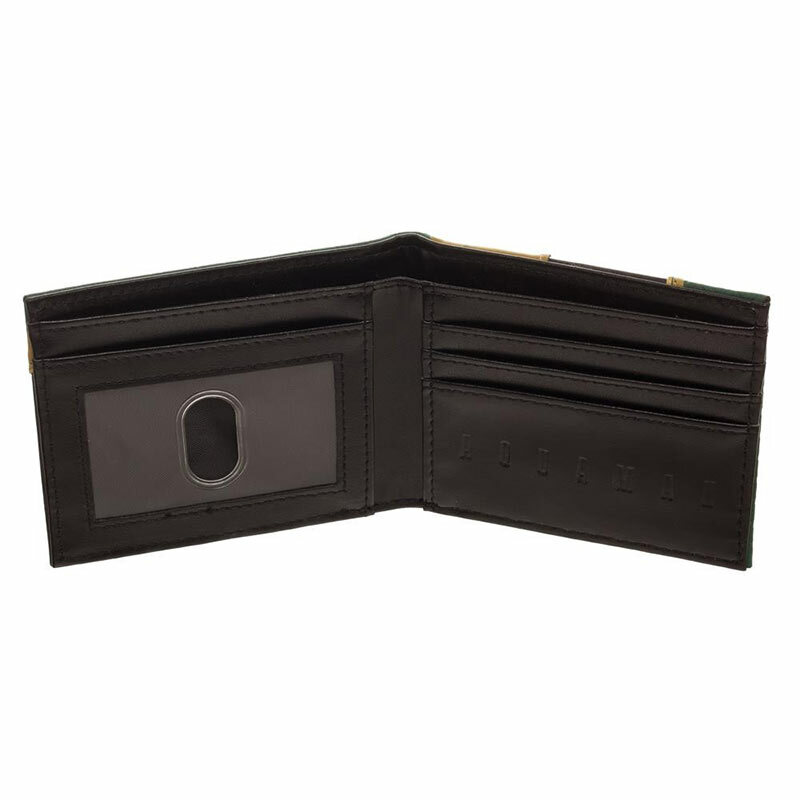 Measures 22cm X 8.7cm.